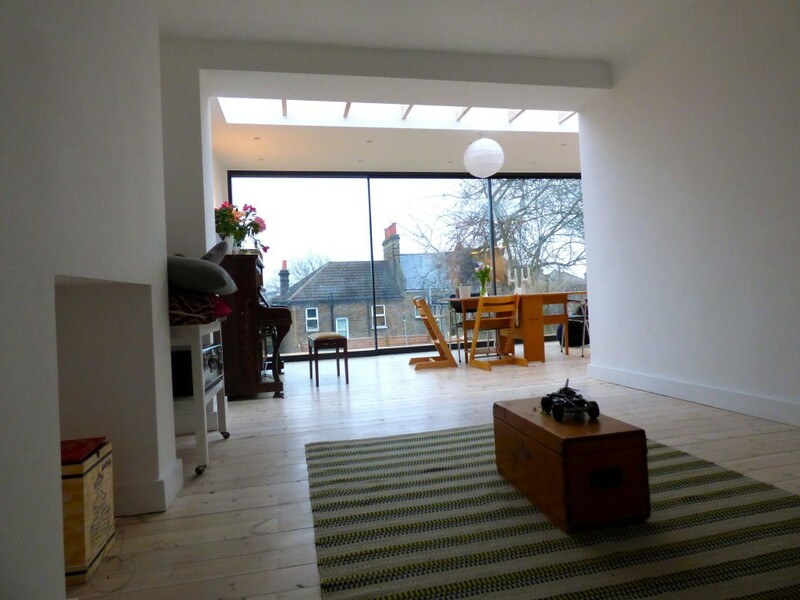 Designing for a founding Director of a successful commercial film company is challenging! 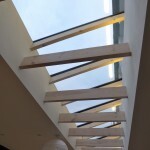 Such a client – obsessed with visually stunning effects, creativity and composition – is always going to demand attention to detail and want a product that impresses the viewer. 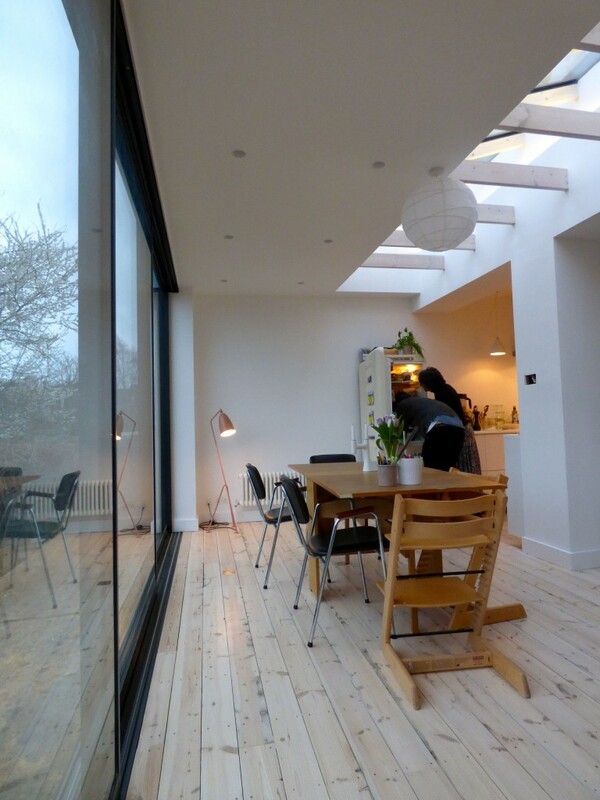 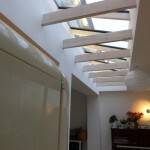 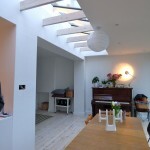 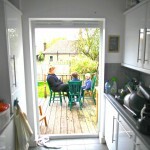 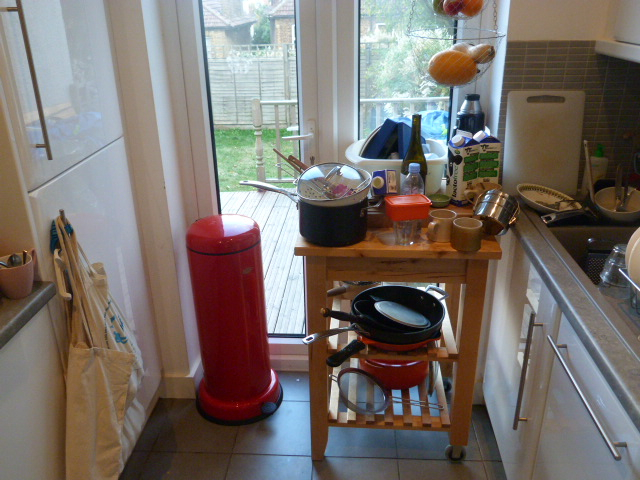 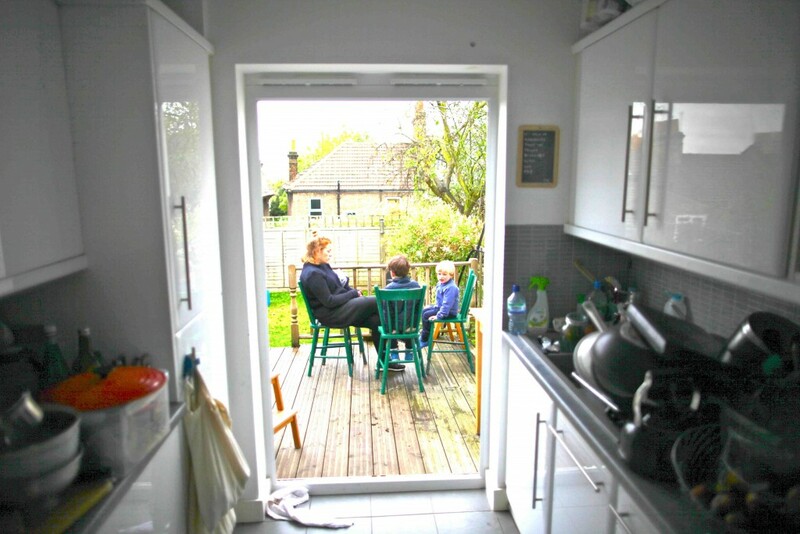 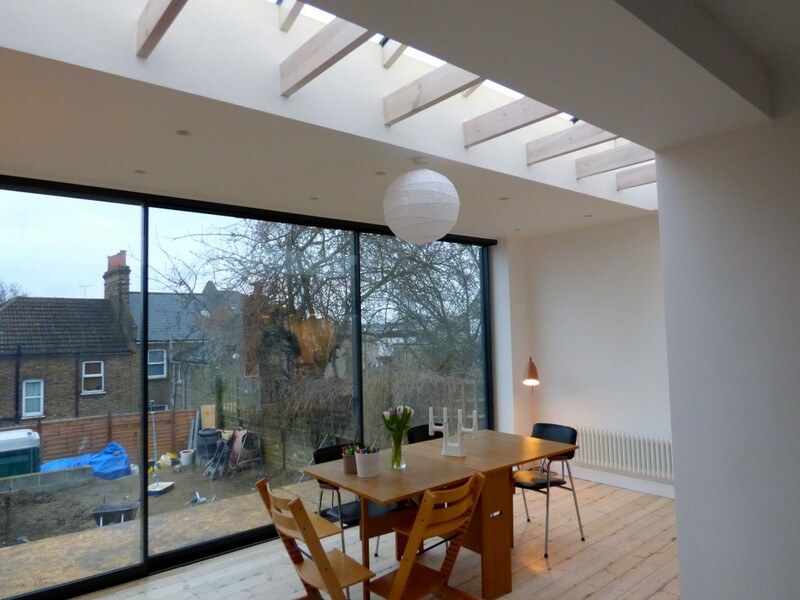 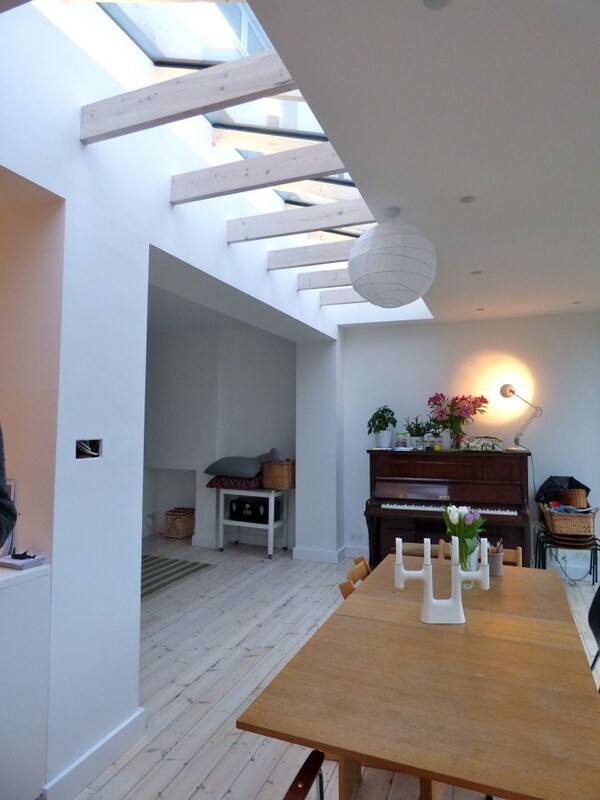 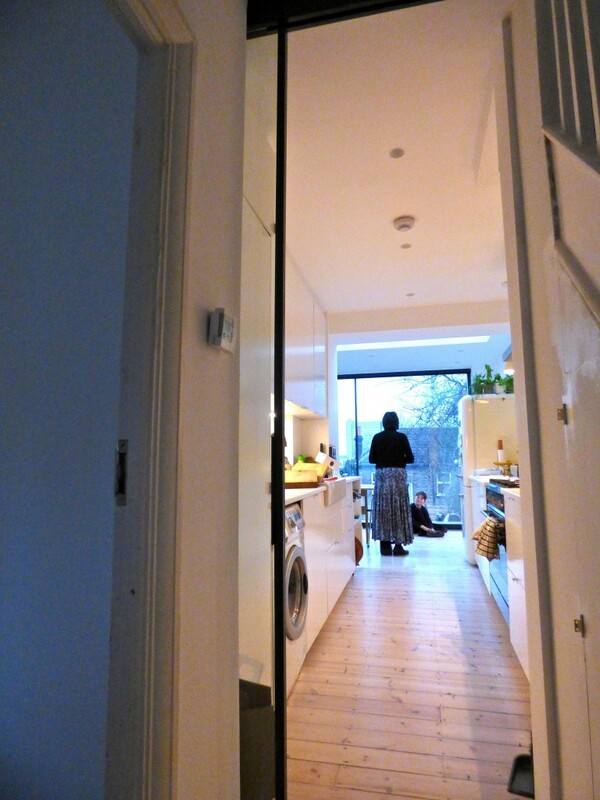 This full width extension to a terraced house on SE London arose from the need to create a much larger integrated kitchen, as well as greater connectivity of living space for three active boys! 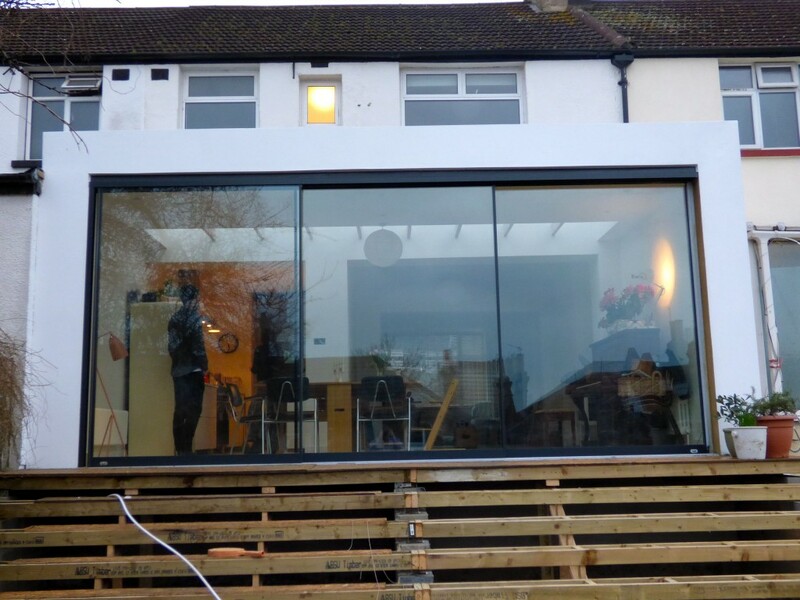 The client’s brief called for a full-width, high quality sliding glazed screen with minimal frames, plenty of light, and simplicity of line. 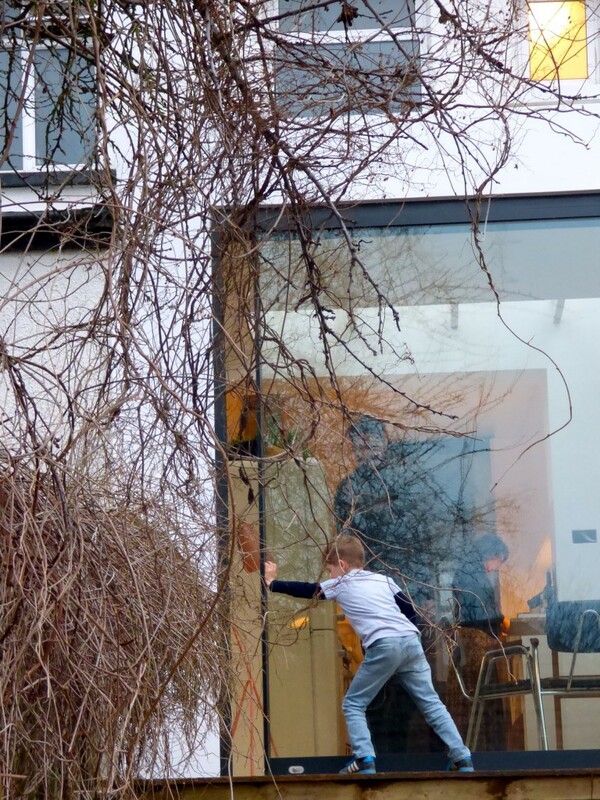 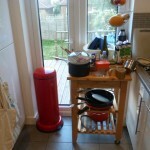 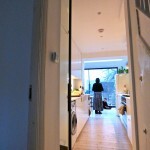 20% of the overall budget went on the glazed screen and sliding kitchen door – the stars of the show. 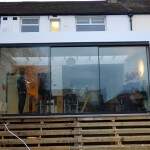 A very simple ‘framed’ render surround to the screen pulls the whole design together in simplicity, and full width Siberian Larch steps and decking carry through the floor finish from inside maximising the sense of space. 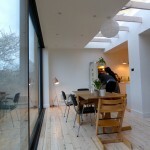 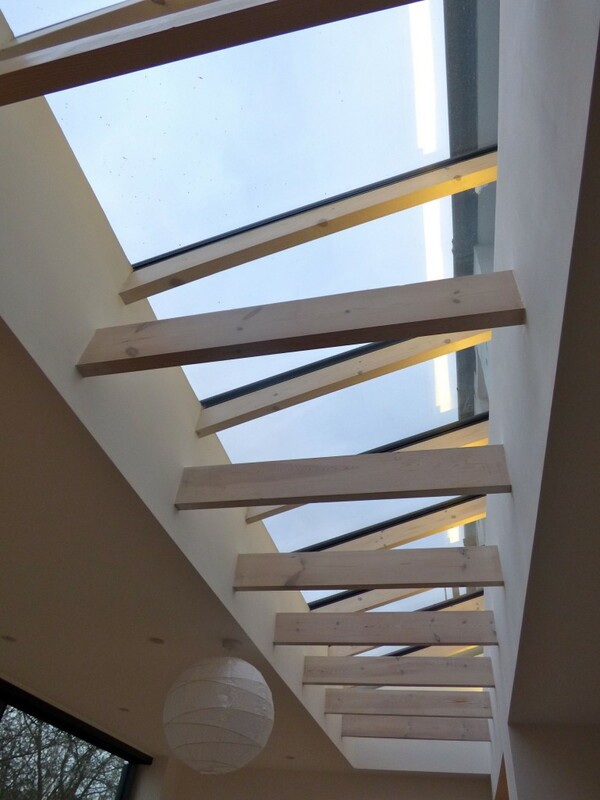 The full-width glazed roof zone is a signature detail of the Practice. 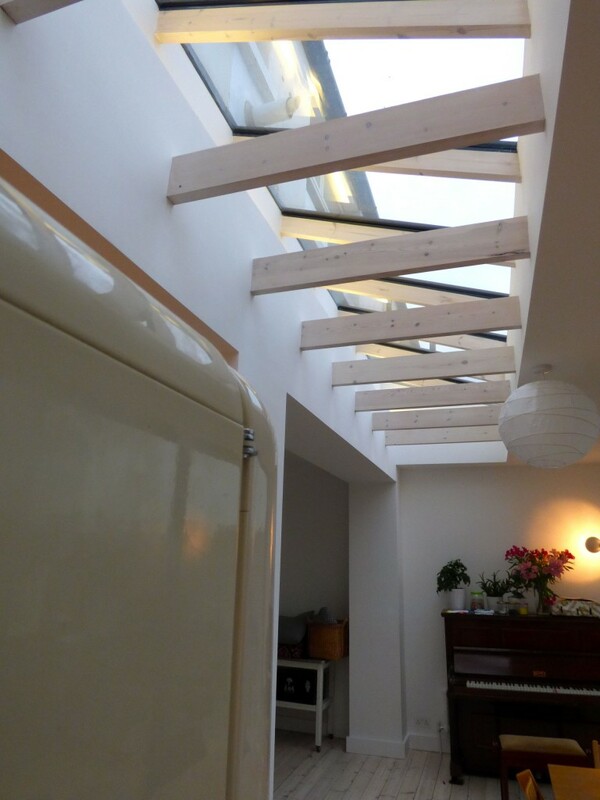 A hidden void beneath the glazing contains LED uplighters and a ’finned tube’ convector to prevent any down draught on people’ necks below! 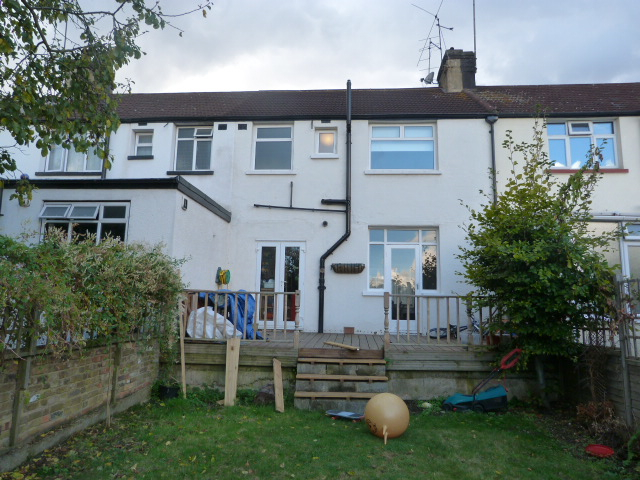 It also provides a hidden horizontal route for drains and other pipes and wiring, greatly reducing installation costs and providing ready access for maintenance. 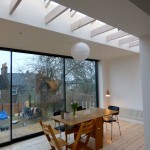 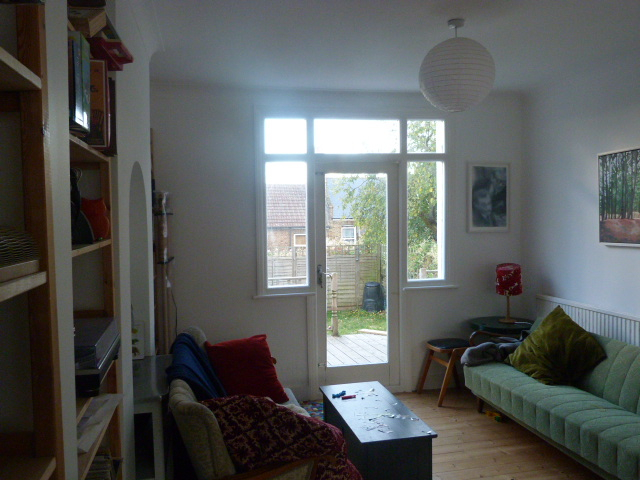 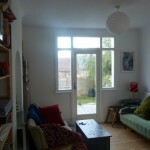 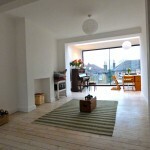 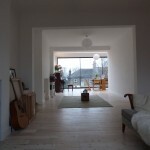 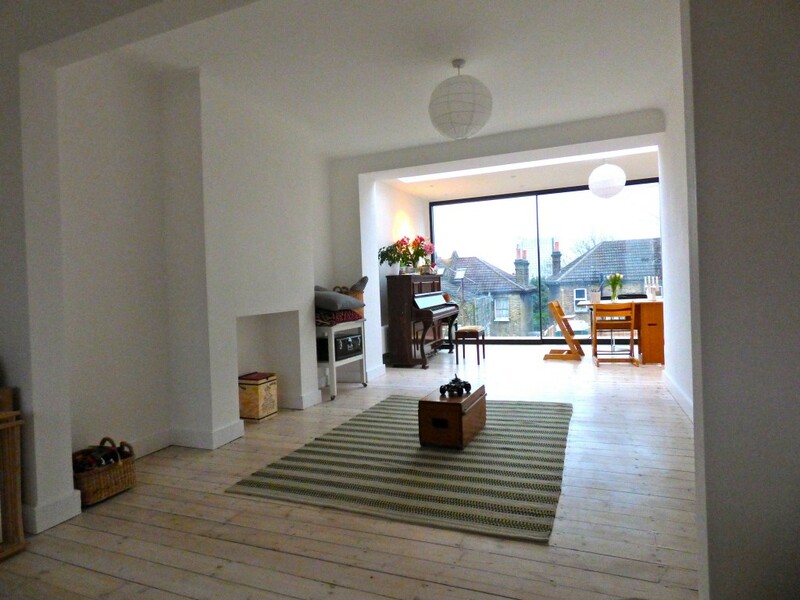 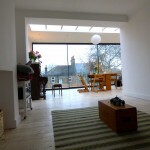 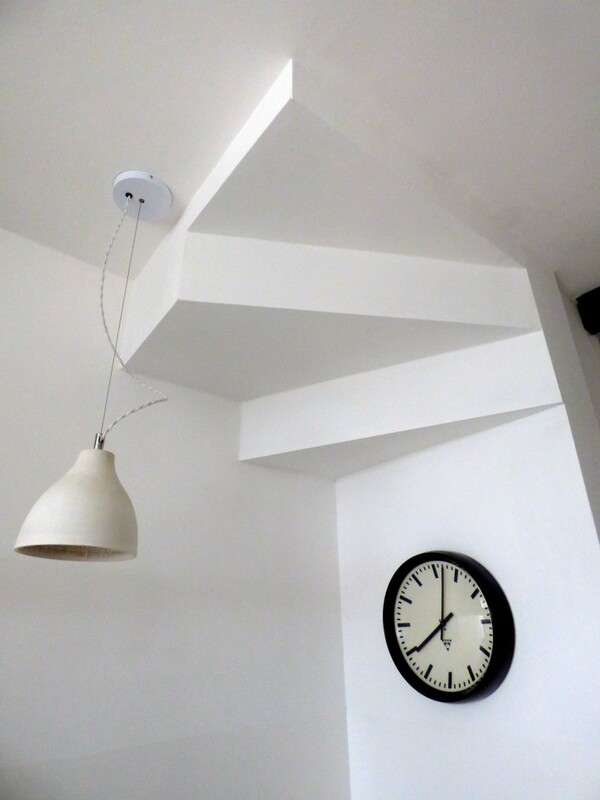 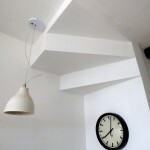 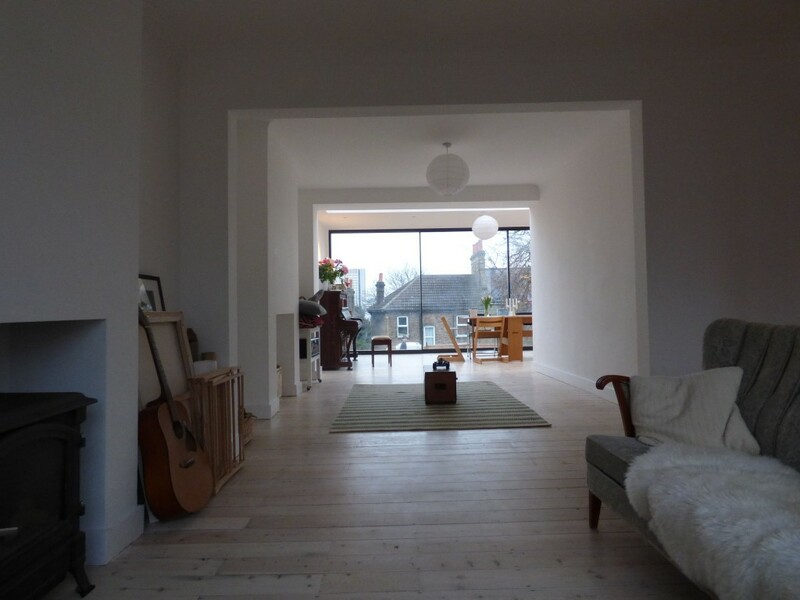 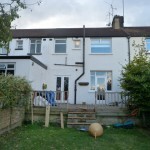 A full width extension to a terraced house.